Hi brides-to-be! I'm so excited to announce that Laurel & Elm will be participating in a boutique bridal event next month with some of the best Philly wedding vendors around! On October 23rd from 12 to 4 PM, I'll be giving out tips and information about our planning packages (along with some other goodies!) with our friendors at L. Priori Jewelry's new studio at 16th and Walnut! ... and more from Papertree Studio, Whipped Bakeshop, Laurel & Elm, Ever Laser, Maria Mack, Carly is Inspired and Encrit en Bleu! Tickets are $15 in advance and $20 at the door. Click HERE to purchase your tickets early! We have been having an extremely busy fall wedding season around here so our blog has been a bit silent lately! However, last Thursday we found out that Laurel & Elm was rated as one of the top 20 wedding planners in Philadelphia (out of 274 Philadelphia wedding planners!) and had to take a minute to share! This is such a huge honor considering all of the talented planner friends we were ranked along with! I am extremely grateful for all of our Laurel & Elm couples that took the time to write us glowing reviews that helped with our ranking! This post is for those couples who are currently overwhelmed by the world of Pinterest and are going in a million different directions with the overall look of their wedding day... let us help you! From today until Labor Day (which is already next Monday! ), Laurel & Elm is offering 10% off of our styling + design package if booked within the next week! There are SO many components that go into creating a completely cohesive event, so the style proposals we present you with are often over 20 pages long, touching on every aspect of your wedding that can be seen and cherished forever in your photographs. Check out a few photos below from the end results of a handful of our favorite design projects! Unlimited phone and email communication as always! Head on over to the Contact page before this week is over and tell me about yourself for all the details and pricing! I can't wait to meet you! Laurel & Elm's New Look! Happy Friday everyone! I'm so excited to share Laurel & Elm's new look today! I'm thrilled with how these website changes turned out and can't stop staring at this snap below! Since Laurel & Elm opened just last year, this update is more of a website facelift rather than a re-do. We are still absolutely obsessed with the Laurel & Elm branding done by Melissa Yeager and wanted to display that prominently for sure! Melissa's logo captured the essence of my company before it had even started - the unique personalization and the attention to detail that translates to our amazing clients' experiences every day! I wanted to update the website to feature some of our favorite work from the last year and showcase it in a light and sophisticated setting. Some of my absolute favorite images (like this one above from Brianna Wilbur Photography!) are front and center to show off the Laurel & Elm aesthetic that has grown and evolved with the help of so many talented friends. Speaking of talented friends, a huge thank you to Tina Jay Photography for the new headshot and Laurel & Elm family photos! Head on over to the ABOUT page to read more! Also new to the site is our REVIEWS page! I've lucked out with the sweetest clients you could ever imagine who have taken the time to write some of the most thoughtful notes about their experiences with Laurel & Elm. If you have a minute today, take a look around the new website and let me know what you think of the new layout and content! Hoping you love it as much as I do! Tomorrow is an exciting day! I've been hard at work updating the Laurel & Elm website to reflect the work we've done over the last year and how we've grown and changed! I'll be going more in depth on this tomorrow but for now, here's a little sneak peek mood board of what's to come! Can't wait to show you the finished version! Check back tomorrow to see! Happy Friday friends! Today I'm blogging a few photos from Abby and Joe's center city Philadelphia wedding! This day makes me SO happy to relive because Abby and Joe were probably the most laid back couple ever. On top of that, their families were so unbelievably sweet and welcoming, it made working for them not seem like work at all! It was so evident throughout getting to know them how happy and excited they were just to be marrying each other, and working with couples like that is what makes me love my job! Abby and Joe live in Boston together with their sweet puppy, George Washington who joined us for some photos later in the day! Since a lot of their guests were traveling to Philadelphia for the weekend, we made sure to incorporate lots of Philly love to make them feel welcome! I love all of the great Philly locations that we stopped at for photos too! Thanks to Daniel Fullam Photography for capturing these great shots of the city that will always have a special place in Abby + Joe's hearts, even in Boston! Check out a few images below! Abby and Joe opted for a first look on the balcony at XIX! With a full catholic mass planned, their first look gave them so much more time for photos before the ceremony! How breathtaking is this view at St. Augustine's? Abby was such a beautiful bride and got to have the entrance she deserved with this long aisle! After the ceremony, we hopped on the trolley and made a few stops around the city to some favorite iconic Philly locations! After photos, we headed to the reception at Arts Ballroom! Loved everyone's entrance down these gorgeous steps into the ballroom! Good speeches make for the best photos! Daniel did such a great job of capturing their reactions! Abby and Joe, thanks for making us a part of your day! Wishing you a lifetime of happiness together! 5 Sparkler Exit Tips for Your Big Send Off! With Fourth of July just behind us, I thought I'd share my 5 expert tips for those of you thinking of doing a sparkler exit at your wedding! With all of the budget planning that goes into making a wedding beautiful, it's so easy to look for little ways to save money that aren't obvious to your guests. This is NOT the time to do that. Different than the Fourth of July sparklers you are probably used to, wedding sparklers are usually sold in 3 different sizes - somewhere around 12 inches, 24 inches and 36 inches. The 12 inch sparklers are by FAR the cheapest and initially the most appealing however sparklers burn at a rate of 1 foot per minute - so 3 minutes total for even the longest sparkler. Unless you have an extremely small, intimate wedding, you're going to need every second you can get to have all of those sparklers lit and guests lined up and ready to go! I always suggest the 36 inch sparkers for my clients. To create that Pinterest picture you've seen time and time again, the sparklers need to be somewhat close to the newlyweds. The 36" sparklers allow both the guest and the happy couple to be a safe distance from the fire in addition to that extra time it allows for more photos! As you can imagine, there are venues don't feel 100% comfortable with guests who have been drinking for hours waving around sticks with fire on the end of them. Who could blame them? Before you buy anything, make sure to check your venue guidelines on open flames and ask which areas of the venue (if any) you can have your grand exit! Some venues located within or close to a forrest or another highly flammable area might not permit this at all, unfortunately! This is a HUGE photo opportunity! As soon as you know you'd like to have a sparkler exit, tell your photographer. Your photography contract outlines exactly how many hours of service your photo package includes, so you'll either want to adjust that timeframe with them so that they are there until the very end or preferably add additional hours so that they don't miss any of your getting ready details! This also allows your photographer to scope out the venue for the best spot to exit! To create that exit you've envisioned, you want to make sure as many of your guests as possible are there at the very end of your wedding! Some of your older guests, especially, who might otherwise leave a little earlier might decide to stick around if they know how important this is to you! A sign displayed at the reception AND a little timeline in their welcome bag never hurts so that your guests can plan their transportation accordingly! The sparklers actually do a better job of lighting themselves from other sparklers than they do catching fire from matches, so designating a person (or hiring a wedding planner!) to be there to communicate this to your guests once they've got a few going can really help to speed the process along! One of the cutest sparkler packaging I've seen is from For Your Party. They sell these adorable sparkler sleeves with matches attached and allow you to customize your information, wedding font and colors to match! Just slip a sparkler in the slots at the top and bottom of the sleeve and everyone is informed and supplied! This cute little tag gives everyone with a sparkler an immediate way to light their sparkler and be ready for you! Last but certainly not least, have multiple water stations located a good distance apart from each other for your guests to put their sparklers out after you leave! Placing these in the general direction of the parking lot allows for your guests to give each other room so that nobody is turning around and surprising anyone! I usually suggest a metal pail of some sort so as not to create another fire with a plastic container of water. Keeping these tips in mind as you plan your grand exit can save you a lot of stress in the long run and allow you to achieve those memorable photos you've been wanting! I can't believe it's been almost a month already since Amanda and Kevin's gorgeous Nonantum farm wedding! I was looking forward to this wedding for a long time for a lot of reasons! The first being, Amanda and Kevin are just the sweetest couple and Amanda is an insanely creative bride. Almost everything you see she designed or crafted in some way! I loved watching all of Amanda's great ideas come to life over the last year! Another reason I was super excited for this wedding was because I got to work with the amazing Autumn Kern Photo again! Autumn and I met last year at Natalie + Ronnie's wedding and she and her husband Josh are always a blast to work with. Pairing beautiful photography with such creative and welcoming families always makes for a great day in my book. Check out some of my favorite photos below! See what I mean about the sweetest family? Lots of happy tears! I just love Kevin's smile here as he sees his soon-to-be wife for the first time! This is always one of my favorite parts of the day. Amanda, you were such a beautiful bride! Congratulations again Amanda + Kevin! Wishing you a lifetime of happiness! Laurel & Elm Featured on Mod Wedding! Interview with Brittani Elizabeth Photography! Recently, I had the pleasure of being interviewed by Brittani Elizabeth Photography for her extremely helpful and reoccurring blog series, Tuesday Tips! 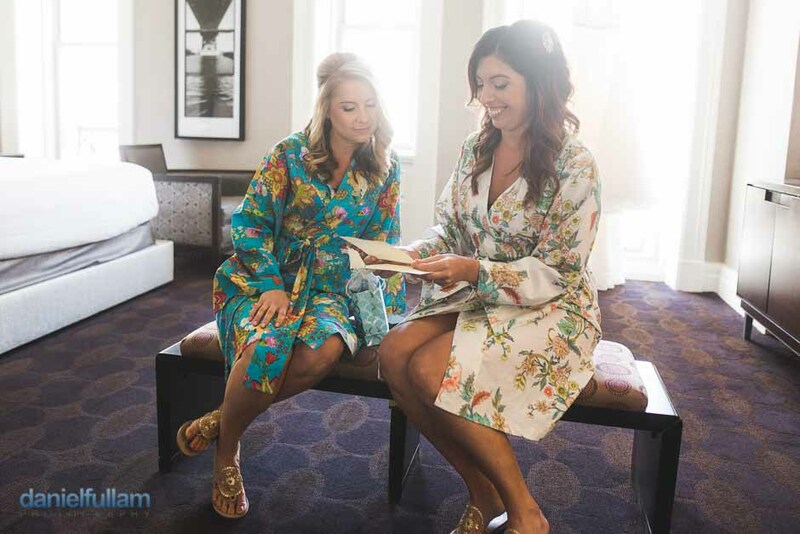 In an effort to explain to her own brides, Brittani had me discuss my wedding planning packages to outline the difference between a wedding planner and a venue coordinator - completely different things! I had such a fun time catching up with Brittani over coffee and a stroll through Hershey Gardens where she was kind enough to take this headshot of me! Check out the differences between some of the Laurel & Elm services below! As far as Laurel & Elm services go, our day-of coordination package is geared more towards couples who are planning their weddings themselves but want the added security of the Laurel & Elm team on the day of to make sure everything runs as smoothly as they’ve envisioned! I start by familiarizing myself with your pre-selected vendors and create an extremely detailed timeline to outline your day. We have a venue walk through for both ceremony and reception sites to go over the timeline and finalize any details and then meet again to direct your rehearsal and run the show on the day of! Although you are the primary planners of the event, I never limit any communication, so as long as you’re a Laurel & Elm couple you can ask for guidance, vendor references or just call me to vent any time you want! I love hearing from you all and getting to know you better throughout their planning process! An overall wedding planner helps with everything you can think of – and everything you didn’t think of – which is the important part ;) Full service planning clients can expect conceptual development + event design, sourcing and ordering of decor, monthly to-do lists, budget management, detailed floor plans, 10 in person meetings, invitation assembly, hotel block coordination, welcome bag delivery, vendor management, online planning portals, day – of coordination and the list goes on.. This is definitely the “soup to nuts” package and the combination of both of my loves, designing AND organizing. My styling + design package is something that I recently added a few months ago and I’m so excited about it! I learn a lot from my amazing clients and in an effort to always be catering my services towards what I think could benefit clients in the future I created a separate styling package that cuts out some of the planning but also doesn’t come with the same price tag as full-service planning! Styling + design covers everything and everyone aesthetic. That means full event design for ceremony, cocktail hour and reception and the coordination and communication with all of the vendors that contribute to the look of your day. This usually includes as many items as photography, videography, floral, rentals, clothing, jewelry, stationery, and lighting. This package includes setting up of all of the decor and coordinating aesthetic vendor arrival and then returning at the end of the night to take it all down! We style it so that it looks like the weddings you see on Instagram and Pinterest so that all of those details are accented just perfectly! A lot of my couples choose to combine this package with day-of coordination so that our team is there during the whole day as well. Brides, if you haven't already checked out Brittani Elizabeth Photography, head on over to her website! Brittani is extremely talented and such a great resource for her couples! Recently, I had the pleasure of helping one of my good friends, Tina Jay Photography style a special project close to her heart! When she's not photographing weddings, Tina is an amazing high school senior portrait photographer! Tina has an awesome Kate Spade-like style for her brand and her real life, so we thought this was the perfect direction for a fun shoot for all of her senior girls! We thought it would be so much fun to have all of the girls pick a word that they felt best described them as they start this new chapter of their lives! Any chance I get to work with Ever Laser is a good event - Lexie laser cut all of the words they chose for the shoot! Loved all of these photos from Tina! Hope everyone has a weekend as sweet as this one! Today is our first wedding of the season! We are SO excited to celebrate with Abby & Joe today as they tie the knot in center city! I've been working on re-stocking and adding to the emergency kit that we carry along with us for the last couple of weeks so that we are prepared for anything that comes our way! This list is always growing and the emergency kit gets heavier by the wedding! We've also been known to pack some emergency champagne which usually lightens our load halfway into the day :) Abby + Joe we are packed and ready to celebrate with you! Can't wait!